The CU Mediterranean Studies Group is open to interested faculty and graduate students from Arts, Humanities and Social Sciences programs at CU Boulder and neighboring institutions, as well as to the Colorado community. Its aim is to develop Mediterranean Studies at CU Boulder and promote interdisciplinary collaboration and discussion among the broadest possible spectrum, with a view to encouraging research and teaching in the emerging field of Mediterranean Studies. We seek to explore categories of historical and cultural analysis that present alternatives to established national, “civilizational” and continental paradigms and emphasize conflict, exchange and interaction among diverse ethnic, religious and cultural collectives as a force behind innovation and historical development in a wide range of human endeavors. Through the Mediterranean, we seek to interrogate, assess and revise established heuristic categories and the teleological narratives that have emerged out of post-Enlightenment northern European scholarship and that have exercised an effective monopoly on our conception of Modernity and its emergence, and on the nature of cultural identity in general. Our focus is centered on but not limited to the Mediterranean region; scholars working on comparable problems in other regions and other aspects of “Oceanic Studies” are most welcome. The group focuses particularly on questions relating to ethno-religious and ethno-cultural identity and its construction, inter-communal relations, cross-cultural exchange, innovation and artistic production, movement and migration, the development and expression of hegemonic power and of empire, the role of economics and commerce in these processes. Although the period from late Antiquity to the Early Modern is emphasized, we engage with these themes through the whole of Mediterranean history, from the Neolithic to the Present. We welcome proposals and suggestions from CU faculty and graduate students for reading group sessions, seminars or works-in-progress workshops both for the present academic year and future. If you would like to get notifications for our scholarly events, click here; if you are a member of the community interested in events aimed at the public, click here to become a "Friend of the Mediterranean." Our program for 2018-19 is currently being finalized but will include faculty workshops, , visits by outside scholars, and an one-day international conference in April. CU faculty and graduate students can apply for support to attend the Mediterranean Seminar workshops (at the University of Michigan in October, Princeton University in March, and Brown University in May). For our organization and sponsors, click here. For inquires or information regarding our programming, contact Jeffrey Baron, Program Co-ordinator (jeffrey.baron@colorado.edu). To propose an event, contact mailbox@mediterraneanseminar.org. September 2019: a talk by Alberto Corbeto (Real Academia de Bones LLetres de Barcelona); details TBA. 16 April 2019: Alex Metcalfe (History: University of Lancaster) on “Muslims of Medieval Sicily” • 9:30am: Rec Center Medium Overlook Room. Coffee and light refreshments for registered attendees For registration for all events and information, please contact: Jeffrey Baron (jeffrey.baron@colorado.edu). 16 April 2019: Daniel König (History: University of Konstanz) on ““Arabic-Islamic Views of the Latin West: the Problem and Some Suggestions How to Solve it” • 11am: Rec Center Medium Overlook Room. Coffee and light refreshments for registered attendees For registration for all events and information, please contact: Jeffrey Baron (jeffrey.baron@colorado.edu). Coffee and light refreshments for registered attendees For registration for all events and information, please contact: Jeffrey Baron (jeffrey.baron@colorado.edu). Monday, 11 March & Tuesday, 12 March 2019: Prof. Daniel Hershenzon (Literatures, Cultures & Languages: University of Connecticut), will give a lecture,“The Captive Sea: Slavery, Communication, and Commerce in Early Modern Spain and the Mediterranean,” on Monday, 11 March at 4pm in CASE W313, and a seminar, “Captivity Letters,” on Tuesday, 12 March at 9:30am in Rec Center Studio 4. Coffee and light refreshments for registered attendees at both events. For registration for all events and information, please contact: Jeffrey Baron (jeffrey.baron@colorado.edu). Thursday, 14 February 2019: “A Mediterranean Saint for Christians and Muslims: St. George and al-Khidr,” a talk by Prof. Erica Ferg (Liberal Arts: Regis University) at 9:30am in the Large Overlook Room (Rec Center). “In a region of the Eastern Mediterranean known as the Levant, agricultural communities of Jews, Christians, and Muslims, for at least the last 800 years, have largely shared and jointly venerated three important holy figures… more… Coffee and light snacks will be provided for registered attendees. For registration: Jeffrey Baron (jeffrey.baron@colorado.edu). Organizer: Núria Silleras-Fernández. Details here. Organizers: Brian Catlos & Sharon Kinoshita. Details here. # Friday & Saturday, 26 & 27 October 2018: The Mediterranean Seminar Fall 2018 Workshop: Margins of the Mediterranean (University of Michigan Ann Arbor) Full program here. Book launch: An Armenian Mediterranean: Words and Worlds in Motion (ed. Kathryn Babayan and Michael Pifer). Wednesday. 17 October: “Orpheus in Hell: Moral Consolation and Sentimental Fiction,” a talk by Prof. Sol Miguel-Prendes (Spanish & Italian: Wake Forest University) at 9am in “The Rose Room” ( McKenna 103). Coffee and light breakfast will be provided to registered attendees. For registration: Jeffrey Baron (jeffrey.baron@colorado.edu). Tuesday, 24 April: “All the Queen’s Men and Women: Portuguese Queens’ Households and Power (13th-15th centuries),” by Prof. Maria Manuela Tavares dos Santos Silva (University of Lisbon) on 2018 at 12--1:30pm in Eaton Humanities 230. For registration for the event and information, please contact: Jeffrey Baron (jeffrey.baron@colorado.edu). Wednesday, 24 January: “From Treasury to Collection: The Sumptuous Objects of Royal Iberian Women from the 14th to the 16th Centuries," with Prof. Ana Maria Seabra de Almeida Rodrigues (Faculty of Letters, University of Lisbon) with Kirk Ambrose (ARTH), Hannah Friedman (ARTH) & Núria Silleras-Fernandez (SPAN) responding • 4–5:30pm at the Flatirons Room, C4C. Thursday, 25 January: “La cultura de corte portuguesa en la Edad Media,” a graduate seminar • 3:30--4:30pm at the McKenna Rose Room. Faculty and graduate students may register for an informal lunch with Prof. Rodrigues to be held on Friday, 26 January from 12:30–1:30pm. For registration for all events and information, please contact: Jeffrey Baron (jeffrey.baron@colorado.edu). Refreshments will be provided at all events; please RSVP by 19 January. Friday, November 3 & Saturday, November 4: “Ethnicity, Faith and Communal Relations” 2017 Mediterranean Seminar Fall Workshop • “Skybox” (top floor) of the Duane Physics building. Round Table 1. How do texts or objects reinforce or transgress religious, "ethnic," or cultural divides? Round Table 2. What is “convivencia,” and what are its limits? • Mark Meyerson (History & Medieval Studies: University of Toronto): "The *Germania* and the Baptism of Valencian Muslims: Violence, Identity,and Community in Late Medieval Spain"
Monday – Friday, May 22–26: “Reading Ladino/Judezmo” – The CU Mediterranean Studies Group presents the 2nd Annual Summer Skills Seminar, a five-day hands-on workshop on reading Ladino/Judezmo (Old Spanish written in Hebrew characters) led by Prof. David Bunis (Hebrew University), with 23 graduate student and faculty participants from across North America. See the announcement, and program synopsis. Monday, May 22: “The Language of Exile: Hispano-Jewish Culture Before and After 1492” • A colloquium open to the public, featuring Brian A. Catlos (Religious Studies: CU Boulder), Janet Jacobs (Anthropology & Women’s Studies: CU Boulder), and David Bunis (Linguistics: Hebrew University) • 6:30pm at Chautauqua Historical Park • Free & open to the public. Detailed information here. Friday, May 19: “Language, Texts, and Court Culture in Medieval Catalonia and the Mediterranean” - The Mediterranean Seminar & CU Mediterranean Studies Group are sponsoring a session organized by Prof. Núria Silleras-Fernández (CU Boulder) at 16th Colloquium of the North American Catalan Society (NACS) at Indiana University, Bloomington. 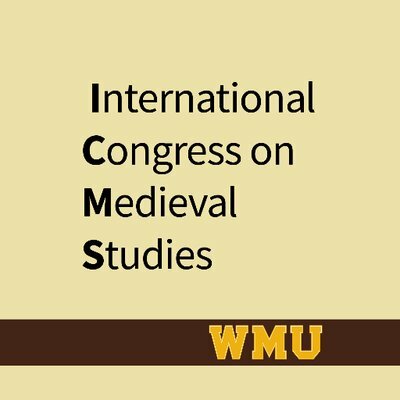 Friday, May 12: “Networks of Books and Readers in the Medieval Mediterranean” - The Mediterranean Seminar & CU Mediterranean Studies Group are sponsoring two sessions organized by Prof. Núria Silleras-Fernández (CU Boulder) at the 52nd International Congress on Medieval Studies to be held 11-14 May at Western Michigan University, Kalamazoo MI. • Illuminating the Scriptorium: A Network of Books from the Monastery of Saint Michael in Medieval Egypt - Andrea Myers Achi, Institute of Fine Arts, New York Univ. The Mediterranean Seminar and CU Mediterranean Studies Group together with the Department of Religious Studies and the Program in Jewish Studies invite participants to the 2017 Mediterranean Seminar Spring Workshop on the subject of “Mysticism and Devotion,” to be held the campus of the University of Colorado at Boulder on 21 & 22 April in the “Skybox” (top floor) of the Duane Physics building. Workshop sessions will take place on Friday, 21 April, with registration/coffee beginning at 9:15am, followed by three workshop papers and a presentation by our first featured scholar, Prof. Amy Remensnyder. Round-table sessions will take place on Saturday, 22 April, with registration/coffee beginning at 9:15am, and will feature three round tables, followed by a presentation by our second featured scholar, Dr. Maribel Fierro. 3. “Mediterranean Religion”: Does it Function as a Category? moderated by Brian A. Catlos (Religious Studies, CU Boulder), wiht Sabahat Adil (Asian Language & Civilizations, CU Boulder), David Williams (History, University of Saint Katherine & Royal Holloway), Kevin Blankinship (Arabic Literature: University of Chicago), Karen Pinto (History: Boise State), and Allen Fromherz (History: Georgia State). Followed by a presentation: “Mediterranean Studies in Asia” with Yuen-Gen Liang(National Taiwan University) & Eun-Jee Park (Busan University of Foreign Studies). The event is free, admittance is by registration only. Space is limited. Registered participants should attend the whole event. For general information contact: mailbox@mediterraneanseminar.org. To register and to receive the workshop papers, and for logistical and site-specific information, please contact Jeffrey Baron (jeffrey.baron@colorado.edu). Download the poster. Wednesday, April 19: “Muslims without Frontiers: Between the Maghrib and Iberia in the Fifteenth Century,” a talk by Dr. Roser Salicrú i Lluch (Medieval Studies: Institució Milà i Fontanals, CSIC, Barcelona) on Wednesday, 19 April 2017, 4-5:30pm at Eaton Humanities 230. Free. Students, faculty and the public are welcome. For registration and information, please contact: Jeffrey Baron (jeffrey.baron@colorado.edu). Tuesday, March 21: The CU Mediterranean Studies Group and the Center for Asian Studies present Prof. Justin Stearns (Arab Crossroads Studies, New York University–Abu Dhabi) (co-organized with Aun Ali, RLST). Faculty and graduate students are welcome to an informal lunch with Profs. Stearns to be held in HUMN 230 from 12:30–1:30pm. For registration for all events and information, please contact: Jeffrey Baron (jeffrey.baron@colorado.edu). Refreshments will be provided at all events; please RSVP by 18 March. Tuesday, 14 March: "Petrarca une a un converso y a un morisco: La Celestina y el Mancebo de Arévalo,” a lecture/seminar in Spanish by Maria Teresa Narvaez, at 12:30pm at McKenna 103. Wednesday, 15 March: Faculty and graduate students are welcome to an informal lunch with Profs. Narvaez and Lopez-Baralt to be held in HUMN 230 from 12:30—2pm. “Colonialism and Indigenous Resistance in the Pre-Modern Iberian Peninsula and Andes,” a mini-colloquium from 4-7pm in the Flatirons room of C4C. Featuring two talks: Maria Teresa Narvaez (Universidad de Puerto Rico): “La literatura secreta aljamiada nos revela el mundo oculto de los Moriscos,” and Mercedes: Lopez-Baralt "Universidad de Puerto Rico): "Y yo soy príncipe: La intuición descolonizadora en la crónica ilustrada de Guaman Poma de Ayala," and a round-table, featuring: Sabahat Adil (Asian Languages and Civilizations), Julio Baena (Spanish and Portuguese), Brian A. Catlos (Religious Studies), Peter Elmore (Spanish and Portuguese),Claire Farago (Art & Art History), Janet Jacobs (Women and Gender Studies), and Nuria Silleras-Fernandez (Spanish and Portuguese). Tuesday, November 15: “Sefarad and Beyond: From the Golden Age to Exile,” featuring “Songs, Liturgy and Stories of the Sephardic Tradition,” a concert of “Ladino” music by Ljuba Davis, and “What’s in a Name? Decoding Andalusi and Sefardi Exceptionalism,” a talk by Prof. Ross Brann, Milton R. Konvitz Professor of Judeo-Islamic Studies and Chair of Near Eastern Studies at Cornell University on Tuesday, November 14, 2016 from 5:30-7:30pm in the The Flatirons Room (C4C) at the University of Colorado at Boulder. Free and Open to the Public. A seminar for faculty and graduate students, by Ross Brann (Milton R. Konvitz Professor of Judeo-Islamic Studies and Chair of Near Eastern Studies at Cornell University) to be held on Monday, 14 November at 3pm in HUMN 270. Faculty and graduate students are also invited to a light lunch with Prof. Brann at 1pm Registration is required to attend both the seminar or lunch; please contact jeffrey.baron@colorado.edu. A guest lecture in Art in Islamic Cultures (ARAB/ARTH 3241 & ARTH 5909-908) by Professor Ozayr Saloojee (School of Architecture and Design: University of Minnesota). 2-3:15 p.m in Ketchum 1B87. Friday, September 30: Islamic Philosophy: A Death Greatly Exaggerated? An informal light lunch for faculty and graduate students with the speakers will be held at 12:30pm. Monday, May 16 -- Friday, May 20: Reading Aljamiado • a four-day skills seminar featuring Dr. Nuria Martínez-de-Castilla (Universidad Complutense de Madrid) • CU Boulder • See the announcement • Applications are closed. Monday, May 16: Europe's Problem with Islam... 500 Years Ago: Morisco Identity & Aljamiado Literature in Early Modern Spain • A colloquium open to the public, featuring Brian A. Catlos (Religious Studies: CU Boulder), Sabahat Adil (Asian Languages & Civilizations: CU Boulder), and Núria Martínez-de-Castilla Muñoz (Arabic and Islamic Studies: Universidad Complutense de Madrid) • 6:30pm at the Grand Assembly Hall at Chautauqua Historical Park • Detailed information and tickets here. Friday, 13 May: “Power and the Court in the Medieval Mediterranean” at the 51st International Congress on Medieval Studies (University of Western Michigan: Kalamazoo MI), a session sponsored by the CU Mediterranean Studies Group and The Mediterranean Seminar; organized by Núria Silleras-Fernández, CU Boulder & Zita Eva Rohr, University of Sydney, and presided over by Núria Silleras-Fernández. "The Case of the Disappeared Catalan 'Masterpiece': Abdullah al-Tarjuman's Disputation de l'asne contre Frère Anselme Turmeda"
• Nina Zhiri:Literature, University of California San Diego "The Task of the Morisco Translator"
• Fabian Montcher: History, Saint Louis University "The Early Modern Republic of Letters through an Iberian Lens"
Friday, November 20: MEH/Med: Middle East History/Mediterranan • a one-day international symposium featuring three round tables • 12:30-6:15pm • Duane Physics Common Room & Reading Room. See program for details. "Italy in the Mediterranean I: Conflict"
1. Cristelle L. Baskins, Tufts University, "Drawing Connections between Hafsid Tunis and Medicean Florence"
2. Travis Bruce, Witchita State/IGAMWI, "Negotiating Conflict through a Shared Language of Trust in Thirteenth-Century Pisa and Tunis"
3. Céline Dauverd, University of Colorado, Boulder, "Easter Passion as arm against Islam in Viceregal Italy, 1442-1649"
"Italy in the Mediterranean II: Images"
1. Alison Perchuk, California State University Channel Islands, "Elijah East and West: From Mediterranean Prophet to Italian Saint"
2. Hollie Allen, University of Colorado, Boulder "Al itálico modo: How Italian Forms and Spaces Shaped Iberian Poetry in the 15th Century"
"Italy in the Mediterranean III: Identities"
1. Brian A. Catlos, University of Colorado, Boulder/Humanities, UC Santa Cruz "Was Norman Sicily Italian or Mediterranean?" 2. Claudio Fogu (UC Santa Barbara) "From Center to South: The Geography of Repression in Making Italians"
Saturday, 22 February: "Teaching across Canons: the Mediterranean and other Comparative Frames"
Friday and Saturday, September 27 & 28: What is a Slave Society? Our theme for the present academic year is "Slavery and Human Trafficking"
Friday, Oct. 5: Steven Epstein (Ahmanson-Murphy Distinguished Professor of Medieval History University of Kansas at Lawrence) "The Languages of Genoese Slavery" - a workshop and panel discussion featuring: Catherine Cameron (Anthropology, CU Boulder), Robert Ferry (History, CU Boulder), Noel Lenski (Classics, CU Boulder), and Teresa Toulouse (English , CU Boulder).Registration recommended (click on poster for details). • 10:00-11:00 a.m. ­ Michele Hamilton (University of Minnesota; Dept. of Spanish and Portuguese): "Translation, Conversion and Language in 15th-century Jewish and New Christian Letters"
• 11:00-12:00 p.m. ­ Carlos Eire (Yale University; Depts. of History and Religious Studies): "Translating Ecstasy: the Life of St. Teresa of Avila"
• 1:30-2:30 p.m. ­ Diana De Armas Wilson (University of Denver; Dept. of Spanish and Portuguese): "The Translator¹s Translator: Revisiting Muslim Algiers"
• 2:45-3:45 p.m. ­ Barbara Fuchs (UCLA; Depts. of English, Spanish and Portuguese): "Forcible Translation"
Wednesday, March 6: Brian Catlos “Understanding Diverse Societies as Complex Systems: The Case of Muslim-Christian-Jewish Relations in the Pre-Modern Mediterranean”: Center for Humanities and the Arts • noon, Mackay 202. Friday, November 2: Seminar: "Translation in Diaspora" (click on poster for details and to request readings). A conference organized by the Istituto Studi Mediterranei and the Master in Intercultural Communication (Università della Svizzera Italiana, Lugano) in association with Università di Bergamo, University of Colorado at Boulder, and Centro Stefano Franscini. 17 October: Brian Catlos, “Exceptional Iberia or Normative Mediterranean? Contexts of Ethno-religious Relations in the Middle Ages," College of Arts and Sciences, Ohio State University.